On my desk are a stack of cards you gave as your commitment to how we want to help make disciples of Jesus Christ here at Ogden Memorial. These are cards written in prayer with the hope of taking a giant leap forward in faith. I’ve been personally blessed as I’ve looked over the cards, especially one particular response. A child responded that they wanted to create a lemonade stand and donate the money to the church. What a holy and loving response! Through your prayerful responses, you have committed yourself to praying more for our church, being present in worship more regularly, inviting people to worship, and to be more Christ centered in your life. These are amazing acts of commitment to God! I want to offer some thoughts on how we may begin to live these commitments out. The majority of our responses were dedicated to praying for the church, community, and, even, myself. There are two things I want to encourage when it comes to prayer. One is to spend some time in dedicated prayer for the church and our mission. A specific way you can pray this week is for our values series, which will begin this Sunday, and the launching of the five foundational principles for the church. Also, we do not have someone who is coming along side me to coordinate the prayer life of the church. 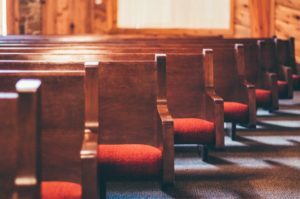 Within this, I’m thinking of someone who is instrumental in helping to collect prayer requests, gathering a group of people each week to pray for the church and the various requests that have been offered. If this is something you are willing to take on, please give me a call this week as I would love to talk with you about this important need. Since I arrived at Ogden, we have talked about wanting to see more people in worship on Sundays. That is something I would love to see happen. It begins with us in taking two very important steps: Committing ourselves to being present on Sundays and by welcoming others into our fellowship. Worship is important. In worship, we come together as a community to praise God and to celebrate what God is doing in the world. Our spiritual life suffers when we miss even one week of worship, because we are disconnecting ourselves from the basic foundations of community and other believers. Statistics tell us most Christians, today, attend worship twice a month. We call that regular. It is hard to be committed to growing in anything if we are only there half the time. I want to extend the invitation to ourselves to be present on Sundays and to make worship with other believers a priority in our lives. I also want to encourage each of us to invite people to join us in worship. Each of us can name to someone who is not going to church anywhere. Instead of saying, “I wish someone would go and talk to ‘John’ about coming to Ogden,” a deeper and more impactful statement is, “I need to call ‘John’ and invite him to church.” Go the extra mile, as well, and be willing to give that person a ride to church. This, I pray, is the desire for all us to grow in reflecting the life and character of Christ in our relationships with others. It is my prayer for myself. I firmly believe the means of grace are important for us in growing in Christ. They are: Scripture reading, prayer, communion, and fellowship with other Christians. Spend time reading the Bible. Do not allow the Bible to sit on a mantle collecting dust, but engage in the story of Scripture because it is our story of God’s redeeming love. Spend time in prayer for the world, for the church, and for our community. I want to give special attention to communion and the fellowship of believers. When we gather for communion we remember God’s redeeming acts through Jesus Christ. 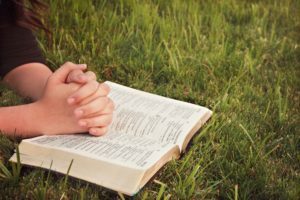 We also prayerful lean upon on the Lord’s Living Presence in our lives, so we may be a transformed and loving witness of grace. It is not a meal we do to fulfill an obligation, but we partake in communion in order to enter into the holiness of God’s love. Beginning September 9 from 8:30-8:45 a.m,, and on Sundays in which we are not sharing communion in worship, I will offer a morning devotion and time of communion in the parlor. You have heard me say the regular celebration of communion is important, and so we will begin to do so together both in worship and in times of morning devotion. With the fellowship of believers, I want to encourage everyone to be part of a small group at Ogden Memorial. 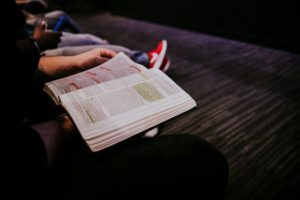 I believe small groups and discipleship studies are important not just to learn more about Scripture, but also to have people who are walking with and encouraging us in our walk. Beginning September 4, there will be three adult Bible Studies offer. Precept, led by Susan Travis, will be offered on Wednesday mornings and evenings. I will be leading an evening Bible Study on Wednesday nights, as well, as our Kids 4 Christ ministry takes place. There are other studies that are in the works, but we hope you will find a place to connect through these studies. This is an important time for Ogden Memorial, as we begin to launch five new values that will define us as a congregation. My prayer is that God will lead us into a new future and aspect of life, as we seek to make disciples of Jesus Christ for the transformation of the world here in Princeton. I would be interested in a small group organized in the line of a Weslyan Class Meeting. A wonderful response regarding the commitment cards that were turned in on Sunday, Aug. 26, 2018, and a plan for the next steps. Thank you for your suggestions of how we can fulfill the faithful promises we made as a congregation to help Ogden UMC become a church that is spirit filled and spirit led.